Vatican City, Oct 3, 2017 / 06:09 am (CNA/EWTN News).- The Vatican announced Tuesday that Pope Francis has appointed Bishop Edward J. Weisenburger, who was the “promoter of justice” for the beatification cause of Fr. Stanley Rother, as the next bishop of Tuscon. 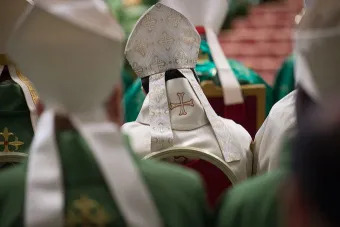 Bishop Weisenburger, 56, replaces Bishop Gerald F. Kicanas, 76, who has retired from the episcopate after reaching the normal age of retirement, which is 75. Before becoming bishop of Salina, Weisenburger was the promoter of justice for the cause of beatification of Fr. Stanley Rother, who was beatified Sept. 23 in Oklahoma City after being recognized as a martyr. 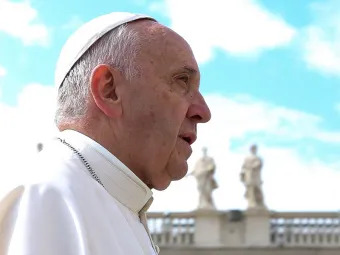 Loosely speaking, the “promoter of justice” for a beatification or canonization cause is the person who, on a diocesan level, is in charge of carrying out an investigation into the candidate's qualifications for sainthood. The promoter of justice must be a priest with a solid background in theology, canon law and knowledge of saints' causes. They are tasked largely with inspecting the documentation and testimonies gathered on the candidate's life for accuracy, and can make further inquiries or requests if necessary. For his role in the canonization cause, Bishop Weisenburger was given a first-class relic of now-Bl. Rother for the Diocese of Salina. Weisenburger also served as an on-site chaplain for rescue workers at the site of the Murrah Federal Building in Oklahoma City after the April 19, 1995, bombing that killed 168 people. He was born Dec. 23, 1960, in Alton, Illinois. His father was a military officer and his mother was a homemaker. He spent two years of his childhood in Hays, Kansas, but grew up in Lawton. The future bishop studied philosophy at Conception Seminary College in Conception, Miss. and theology at the Catholic University of Louvain in Belgium. Ordained a priest on December 19, 1987, for the Archdiocese of Oklahoma City, he afterward studied at Saint Paul University in Ottawa, Canada, obtaining his pontifical degree in canon law. He has served as a parochial vicar and pastor at several parishes in Oklahoma City, and also worked in prison ministry and served on the archdiocesan tribunal for 20 years. From 1996-2012 he was vicar general of the Archdiocese of Oklahoma City, and was rector at the Cathedral of Our Lady of Perpetual Help in Oklahoma City from 2002-2012. He was also a member of the College of Consultors of the archdiocese’s Council of Priests. In 2009 he was given the honorific title "monsignor" by Benedict XVI and in 2012 was appointed Bishop of the Diocese of Salina in Kansas. In addition to English, Weisenburger also speaks Spanish.